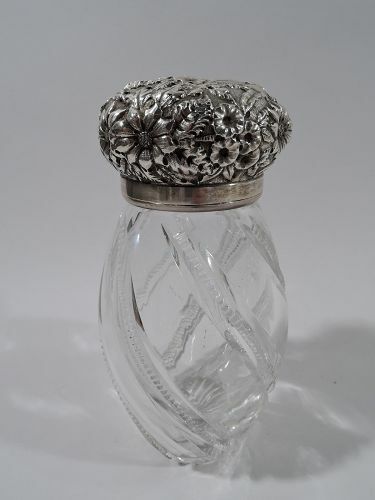 Antique sterling silver and clear glass sugar caster, ca. 1910. 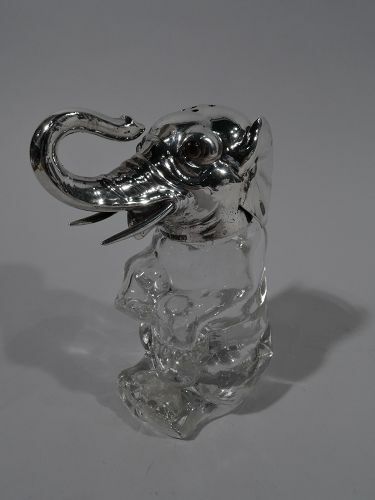 Body in clear glass and head in sterling silver. Elephant is seated with straight hind legs and dangling forelegs. Ears are flapped back and trunk is turned up. Fine details, including the cute and stubby toes, sharp tusks, and gleeful gape. Head top pierced. Back has engraved monogram. 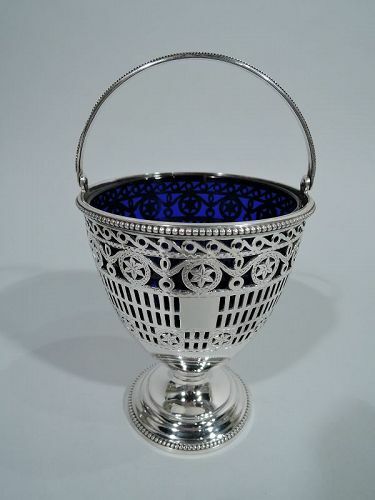 Hallmarked “sterling silver”. Effaced word (probably Germany). Very good condition.